Flip his Coney properties to another developer who's willing to build within the city's zoning guidelines. 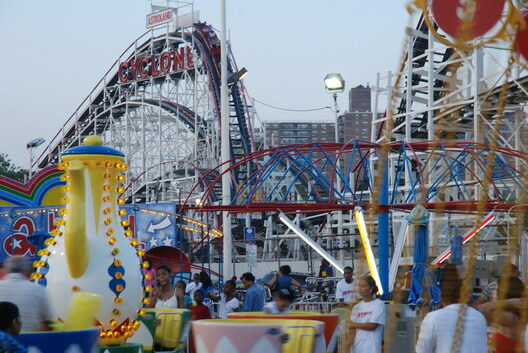 Movie theaters, restaurants, and catering halls would all be OK, according to Coney Island Development Corporation president Lynn Kelly, as a means to expand the "shoulder seasons" of late spring and early fall without detracting from Coney's traditional amusements. Take a bulldozer to the buildings he owns along Surf Avenue—which include the Grashorn Building, Coney's only surviving 19th-century structure, and the Henderson Building, where Harpo Marx made his stage debut—and gamble that either this mayor or the next will cave on the rezoning once faced with vacant lots. Accept the city's offer to swap his 10 acres of amusement-district land for eight acres of city-owned property where the Abe Stark skating rink and Keyspan parking lot now sit, which would presumably be OK'd for condos. (Kelly won't confirm the offer, but other sources have.) If this land is valued at the same $500 per square foot that Sitt got for the adjacent Washington Baths site, which he sold to fellow developers Taconic Investments last year, it would be worth $180 million—more than double what he paid for his amusement-district properties. In the meantime, businesses like the Lola Staar Boutique are again in the dark about whether eviction or lease extensions are coming and the Astroland saga continues.